Peter Knight is Senior Research Investigator in Physics at Imperial College London; Senior Fellow in Residence at the Kavli Royal Society International Centre, Chicheley Hall; and Past-President of the Institute of Physics. He retired in September 2010 as Deputy Rector (Research) at Imperial College, where he was responsible for the College's research strategy. He was knighted in The Queen's Birthday Honours List in 2005 for his work in optical physics. Peter was the 2004 President of the Optical Society of America, a member of their Board of Directors and a Director of the OSA Foundation. He was coordinator of the UK Nonlinear Optics Initiative and Editor of the Journal of Modern Optics, and is Editor of Contemporary Physics. Peter is a member of the UK Quantum Technology Initiative Strategy Advisory Board. He chairs the Quantum Metrology Institute at the National Physical Laboratory and, until the end of 2014, chaired the Advisory Board of the very successful EPSRC Innovative Manufacturing Centre at the University of Huddersfield. 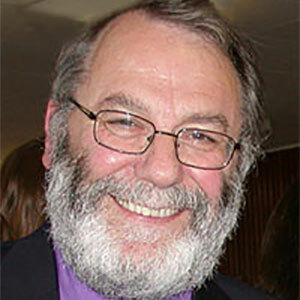 He is a member of the Advisory Board for the Winton Programme for the Physics of Sustainability in Cambridge. Sir Peter was, until December 2010, chair of the Defence Scientific Advisory Council at the UK Ministry of Defence, remains a Government Scientific Adviser, and was a Council member of the Science and Technology Facilities Council until 2011. He was also Chief Scientific Adviser at the UK National Physical Laboratory. His research centres on quantum optics, strong field physics, and especially on quantum information science. He has won a number of prizes, including the Thomas Young Medal and the Glazebrook Medal of the Institute of Physics; the Ives Medal of the OSA; and the Royal Medal of the Royal Society. He has been a Visiting Professor at the University of Louvain-la-Neuve, a Humboldt Research Award holder at the University of Konstanz and a Visiting Scholar at the University of Texas at Austin, and is a Research Professor at the University of Rochester. He is a Fellow of the Institute of Physics, the Optical Society of America and of the Royal Society. He was a Trustee of the Royal Institution for two terms and is currently a member of Council at Sussex University.